Return of the Wolves re-aired January 7, 2015. 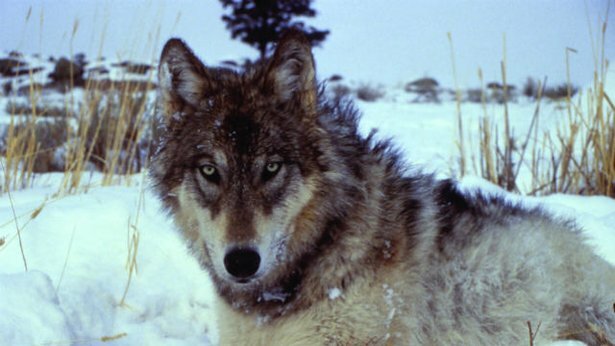 Learn what has happened since the reintroduction of wolves into Yellowstone and Idaho. It’s been nearly 20 years since wolves were reintroduced into Yellowstone National Park and parts of Idaho, and placed on the endangered species list. At the time, advocates said wolves were a vital link in the natural ecosystem. Returning the park’s premier natural predator would help control Yellowstone’s surplus elk and bison population. Worried about the effect of wolves on their livelihoods, ranchers and hunters protested the reintroduction, some even filing lawsuits. The discussion became heated to the point of threatened violence. A wolf of Yellowstone National Park.Yellowstone National Park. Jump ahead to 2013 when the West has seen a resurgence of wolves. For ranchers, hunters, wildlife advocates and nature enthusiasts, wolves and their fate have again become the center of a growing controversy. The U.S. Fish and Wildlife Service is proposing that wolves — except for the Mexican wolves of the Southwest — be delisted nationwide as an endangered species and that their management be handled at a state level. Montana, Idaho and Wyoming have already delisted wolves and implemented hunting seasons. Return of the Wolves: The Next Chapter, narrated by Peter Coyote, explores both sides of the heated issue and examines the role of the wolf in Yellowstone, the West and the Southwest. It is the third documentary by Utah filmmaker John Howe to chronicle the story of wolves in the American West. At the turn of the 20th century, the wolf population throughout the West had been decimated. The last wolves in Yellowstone were killed in the 1920s as part of a federal wolf removal program. Their disappearance changed the balance of the park’s fragile ecosystem. Hunters and outfitters, for instance, preferred a high concentration of elk migrating in and out of the park. As wolves have dispersed beyond the park’s boundaries, livestock ranchers, some of whom have suffered significant losses to wolves, worry about protecting their herds. Return of the Wolves: The Next Chapter relates the history of Yellowstone wolf reintroduction through the key figures who lived it. It also tells the story of Wolves No. 9 and No. 10, who are among the most famous of the reintroduced wolf population. No. 10, a male, was killed illegally when he ventured outside the park. No. 9, a pregnant female, had also left the park. Biologists stepped in to rescue her offspring after she gave birth to the first pups born since wolves were reintroduced into Yellowstone. The film ventures beyond Yellowstone to Arizona for a look at the Mexican wolves of the Southwest. It also follows grade school children who meet a wolf at the Mission Wolf sanctuary in Colorado. In Canada’s Northwest Territories, filmmakers reveal the family structure of a pack of subarctic white wolves. Return of the Wolves: The Next Chapter was produced by John Howe.